Each of them is quipped with an individual type of filter as well as a speed adjustable automation to ensure that you get endless sounding ambiances that never repeat themselves. 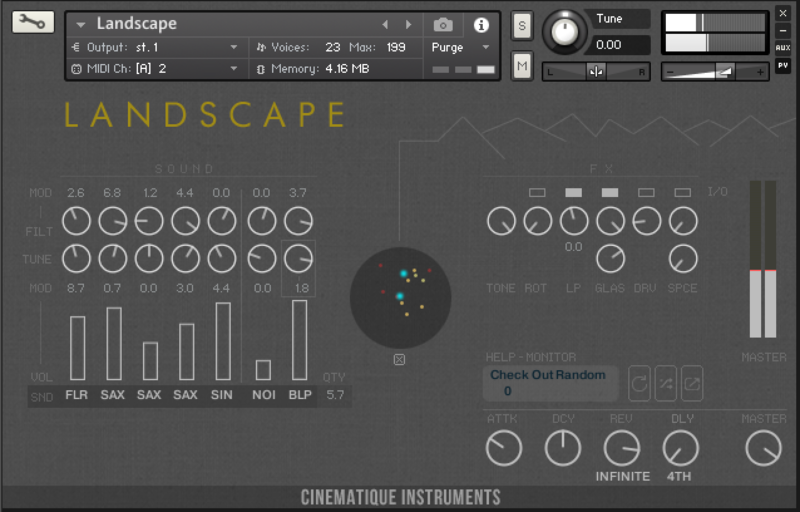 For shaping the overall sound LANDSCAPE provides six insert effects (tone color, rotary speaker, lowpass and multi filter, drive and glass/space convolution models) and two send effects (reverb and delay). It shows a walk through Landscape.